Today is the birthday of James W. Kenney (January 2, 1845-?). He was born in Ireland, but followed his older brother to Boston when he was eighteen, in 1863. 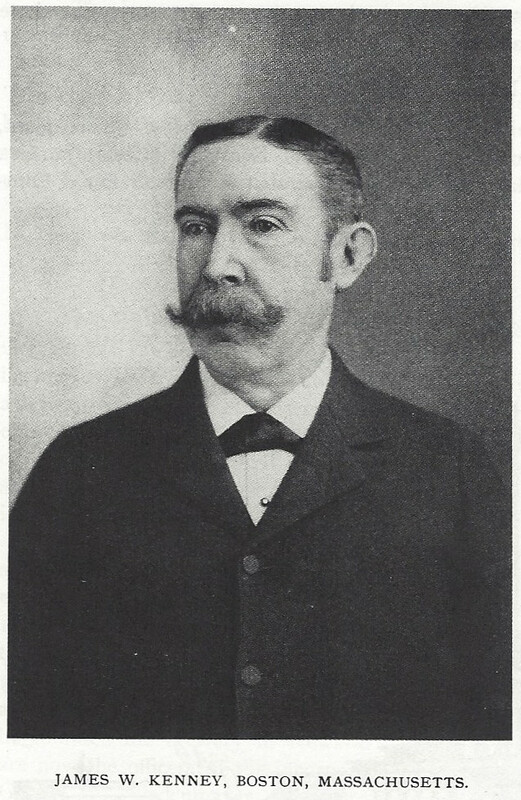 He was involved in starting and running several different breweries in Boston over the span of his life, starting with the Armory Brewery in 1877. 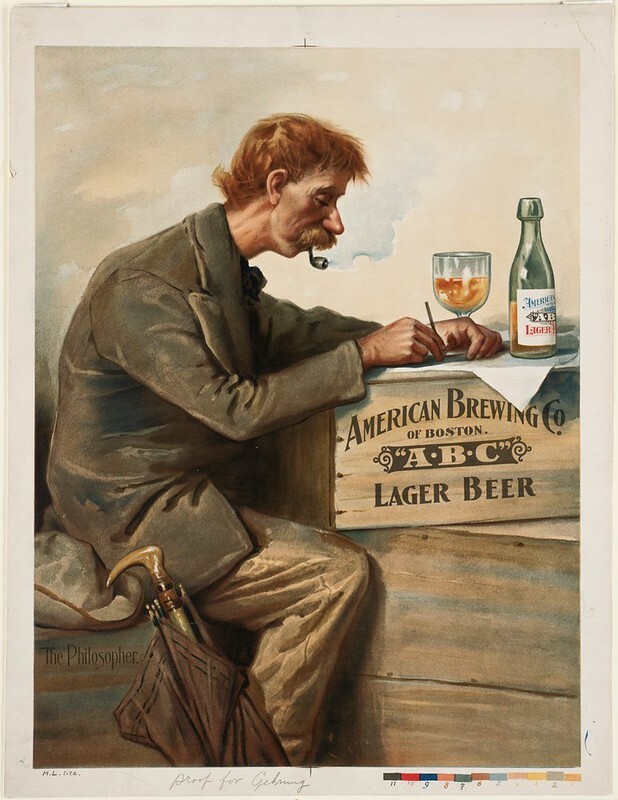 Then he opened the Park Brewery, the Union Brewing Co. and finally was involved in the American Brewing Co., plus he bought the Rockland Brewery at one point. It also seems like he was involved in the Kenney & Ballou Brewery, but I wasn’t able to confirm that one. Suffice it to say, he was a busy, industrious person, involved in a lot of Boston breweries. Kenney, James W., born near Derry, Ireland, Jan. 2, 1845, and educated in the national schools of his native land. Came to Boston, 1863, and was placed in charge of a large grocery conducted by his brother. Became master brewer in a large brewery. 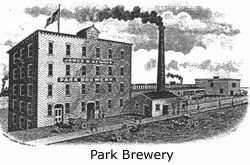 In 1877 started Amory Brewery; 1881 Park Brewery; 1893 organized Union Brewing Co. Was mainly instrumental in organizing the American Brewing Co.; member of directors’ board two years. Large owner and operator in real estate, with interests in railroads, gas companies, banks, newspapers, etc. President, director and vice-president of Federal Trust Co.; director Mass. Bonding and Insurance Co. and Fauntleroy Hall Association of Roxbury; member of American Irish Historical Society and of numerous social and benevolent organizations. Married, April 24, 1876, Ellen Frances Rorke, of Roxbury. Residence: 234 Seaver St., Roxbury, Mass. 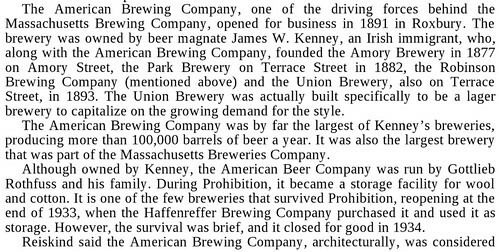 Norman Miller’s “Boston Beer: A History of Brewing in the Hub,” has a few paragraphs on several of Kenney’s businesses. This was his first brewery, but it was only known by that name until 1880, and I think he may have then sold it to a Mr. Robinson, who called it the Robinson Brewing Co., although some accounts indicate it was called the Rockland Brewery, which was his nickname. 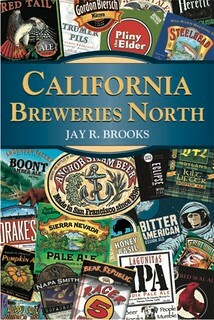 Their flagship was Elmo Ale, named for Robinson’s son, and not for the beloved Sesame Street Muppet. Other sources seem to suggest it was then bought back by Kenney at some point. Four years later he opened the Park Brewery, which apparently produced only Irish Ales. This was a larger brewery than his other ventures, and he was merely one of the investors in the business, and was on the Board of Directors, though he did hired all Jamaica Plain brewmasters. Apparently it survived the dry years by operating a “laundry” (wink, wink). After repeal, the Haffenreffer family bought it and used it briefly as a second brewery, before closing for good in 1934. 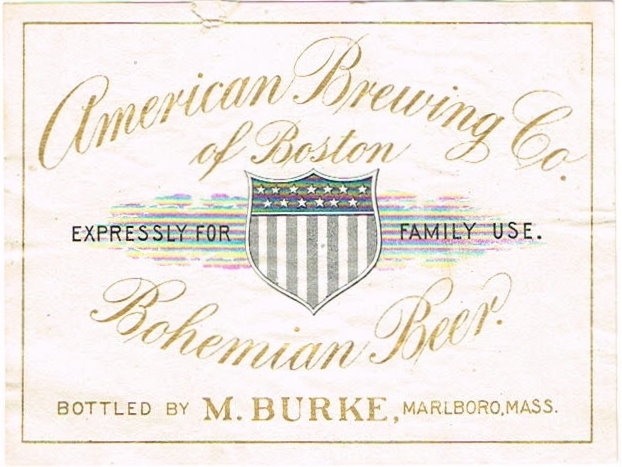 The most “handsome” of all the remaining Boston breweries, the American Brewing Company was active from 1891 to 1918, and then again from 1933-34. Owned by James W. Kenney, who also owned the nearby Park and Union breweries, the Queen Anne style building stands out architecturally with beautiful granite arches and a distinctive rounded corner, topped by a turret. Historically, one of the most unique features of this brewery was the “customer” room in the basement. Customers were entertained here in a room with walls, ceiling and floor painted with German drinking slogans, flowers and other reminders of the source of the Lager recipes. 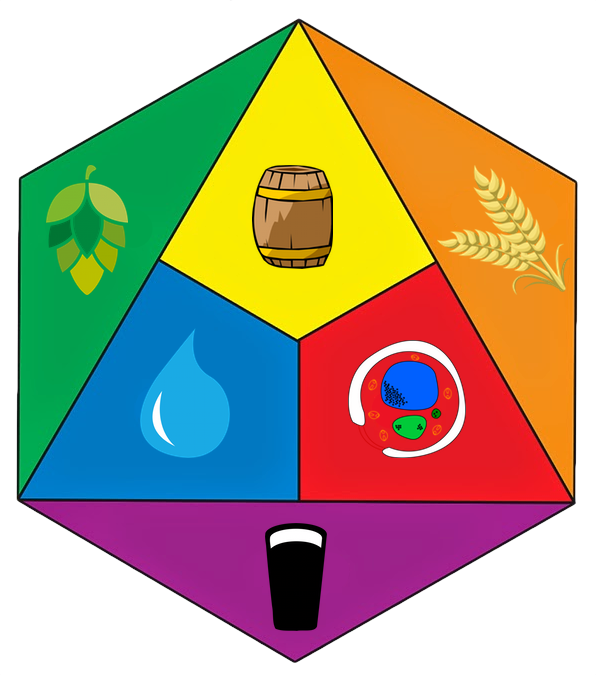 The brewmasters were Gottlieb, Gustav and Gottlieb F. Rothfuss, all of Jamaica Plain. 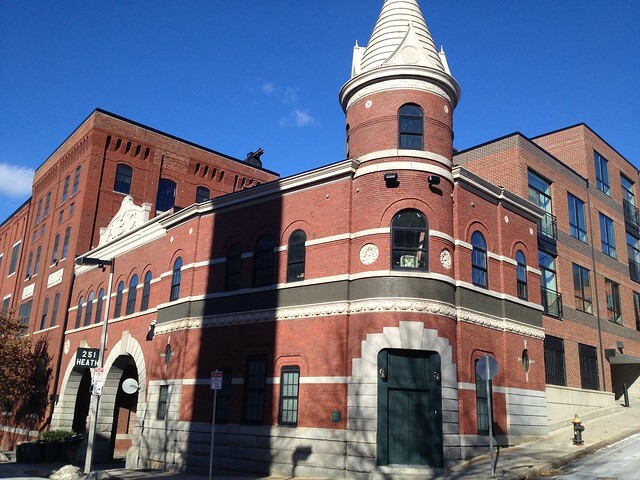 This is undoubtedly the most handsome of all the remaining breweries in Boston and once can see at a glance the pride the owners had in the place, the process and the product. The architect was Frederick Footman of Cambridge. It was built in three phases, with the oldest part on the left, the second one with the American Brewing Company name came next and then the third wing with the beautiful granite arches and terra cotta heads which was the office complex emblazoned with the initials ABC. The granite was probably either Chelmsford or the slightly grayer Quincy. Still visible in the main, or brewing, building is the large overhead access shaft where the malted barley and water were lifted to the top floor with hoists and pumps. The barley was stored in cedar-lined rooms in the top two stories of the main building to prevent insect infestation. The brewing process was started there as the grain was cooked. The cooked mash then flowed to the floor below where the grain was removed as waste and hops and other ingredients were added to the residual brew, along with the yeast that triggered the fermentation that produced the alcohol. The final product was then stored in temperature-controlled areas at the lowest level. Also still visible in the lower level is the capped wellhead that had delivered countless thousands of gallons of pure Mission Hill spring water to the process. A wonderful touch of the spirit of the times is the “customer” room in the basement. Customers were entertained here in a room with walls, ceiling and floor painted with German drinking slogans, flowers and other reminders of the source of the Lager recipes. The offices had beautiful arched, semi-circular windows with stained glass. The tower is rounded and has a clock fixed at seven and five, the workers’ starting and quitting times. It also has granite carriage blocks to protect carriage wheels from breaking if too tight a turn were attempted when entering or exiting. During Prohibition it was used as a laundry. After 1934, Mr. Haffenreffer used it for a time as a second brewery. Most recently it was used by a fine arts crating and shipping company, the Fine Arts Express Co. It is presently being converted to housing units. The Stony Brook culvert sits very close to the surface of Terrace Street, the home of two very productive breweries. The Union Brewery, active from 1893 to 1911, was located at 103 Terrace Street. It produced only German Lager beer. It had a large six story, arched, main building and two smaller buildings housing a stable and a powerhouse. The two smaller buildings and the mural-decorated smokestack, which now also does duty as a cell phone tower remain. The former stable is now Mississippi’s Restaurant. 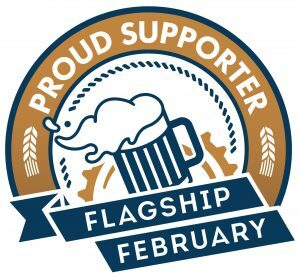 While for those breweries, it’s certain they were owned by James Kenney, I’m less sure about a couple of others. 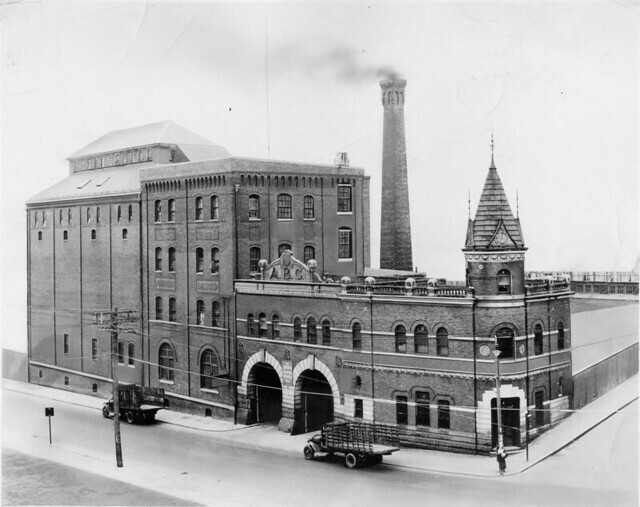 From either 1878-1880 or 1898-1903 (sources differ) there was a Kenney & Ballou Brewery. It’s seems at least like that James Kenney may have been the Kenney in the name, although it could have been his older brother Neil Kenney, who James worked for when he first arrive in America. 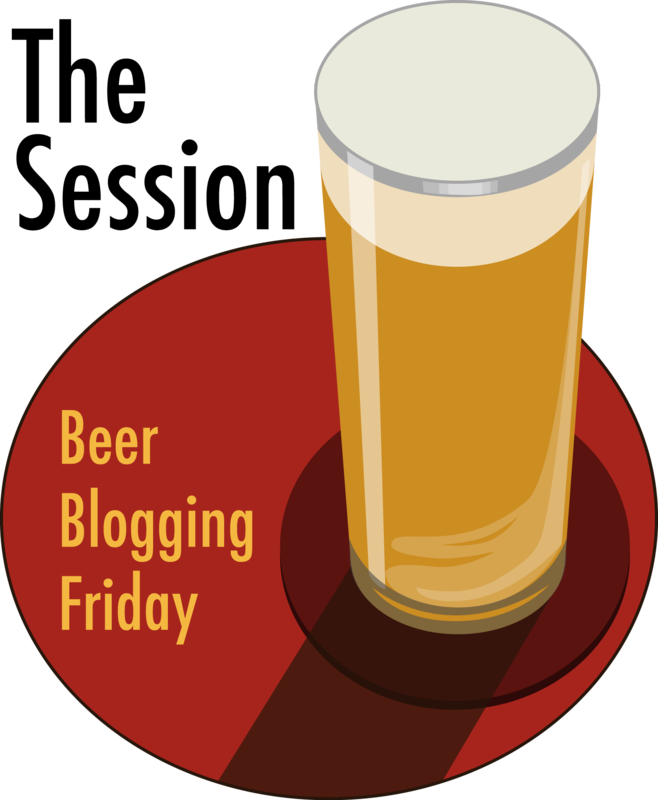 That seems even more plausible when you look another brewery founded in 1874, the Shawmont Brewery. 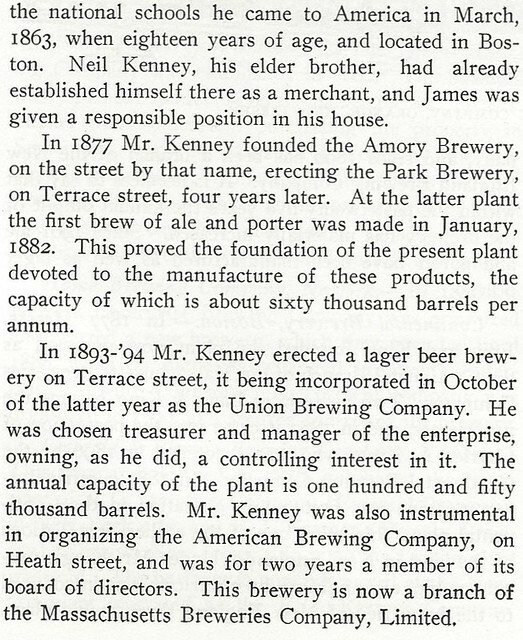 In 1877, it became known as the Neil Kenney Brewery, but in 1884 it changed names again, this time to the James W. Kenney Brewery. It apparently closed in 1888, but it appears pretty clear that he and his brother worked together on one, if not both of these breweries. 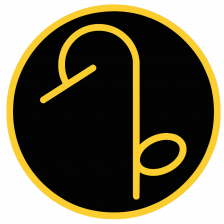 Unfortunately, except for listings in Breweriana databases, I couldn’t find any information whatsoever about either brewery, and they’re not mentioned in any accounts I found of Kenney, either.